A retired Sara Lee executive missing since he met with a couple about buying his sport utility vehicle was found dead Thursday, frozen in a rented storage unit. The couple was arrested in what federal authorities believe was a bungled carjacking. James Cockman, 71, of Greenville, S.C., had been missing since Sept. 14, the day he was to meet David Wendell Edens and Jennifer Annette Holloway. Authorities believe Cockman may have suffocated from duct tape that Edens, 34, and Holloway, 27, used to cover his mouth. An autopsy will be performed. "The interpretation I have right now is that his death was an accident," R. Joe Clark, special agent in charge of the FBI office in Knoxville, told a news conference Thursday. Edens and Holloway were taken into custody at their rural Smoky Mountains home and charged with carjacking. They appeared in federal court Thursday in Knoxville and were being held by U.S. marshals. Additional charges for kidnapping and possibly for murder were expected, Clark said. State kidnapping charges were filed in South Carolina. Cockman was last seen buying a cup of coffee at a convenience store near a parking lot where he was supposed to meet a couple interested in his 1996 GMC Suburban. The Edens and Holloway gave him a $100 deposit the day before and were to pay him the remaining $8,400 the next day. In a statement to authorities, Holloway said she and Edens met Cockman, forced him into the Suburban, placed duct tape over his mouth and drove directly to their home. "When they got here they realized their victim was dead," Clark said in Sevierville. "Mr. Edens put him in a deep freeze and took the (body) to a storage facility and left it there. Why, I don't know." Clark said the FBI was able to identify Holloway's cell phone number and track it to Sevierville. Authorities obtained a search warrant and went to the couple's home. Clark said Edens refused to talk to authorities, who recovered Cockman's Suburban at the home. Holloway had only misdemeanor arrests for shoplifting and forged checks in her past. Edens' criminal history was unknown. 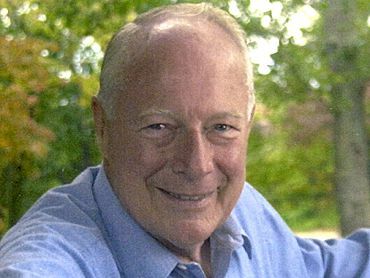 Cockman became chairman and chief executive of Sara Lee's PYA/Monarch division in 1985, then became chairman of Sara Lee Foodservice before retiring in 1992.